​Saveur Chico is proud to announce Chef Ann Leon will be catering the gourmet dinner! ​Chef Ann Leon has more than twenty years of restaurant, casino, and resort experience. 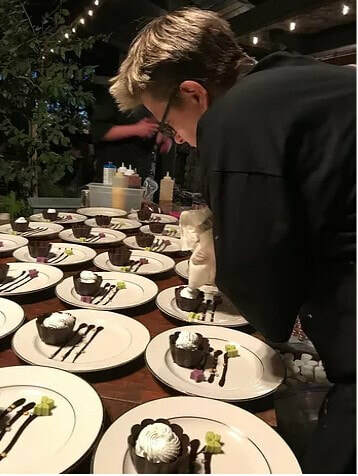 Leon studied at the California Culinary Academy in San Francisco, graduating at the head of her class and receiving the Danielle Carlisle Walker Award for her outstanding work in the culinary arts. Leon is now the owner of her own restaurant, Leon Bistro, located in Chico, California. Ann continues to create distinctive, soups, salads, meats, sauces, and fine desserts using locally grown products that express the best of contemporary California Cuisine. For more information, please visit their website below.